Marijuana And Medical Malpractice: Can You Sue A Doctor For Recommending Or Prescribing Cannabis? If you believe that you have been injured due to the doctor's negligence, recklessness, wrongful act, intentional act or omission to act, you may still be able to hold him or her liable. Blog⁄Marijuana And Medical Malpractice: Can You Sue A Doctor For Recommending Or Prescribing Cannabis? Although marijuana in Hawaii remains illegal for recreational use, medical use of cannabis, which is also referred to as pakalolo (crazy tobacco) in a popular Hawaiian language term, is permitted by law. Ever since the first legal medical cannabis dispensary sale was made in Maui, Hawaii, in August 2017, doctors all across the Aloha State have started recommending medical use of marijuana to their patients with a qualifying condition. But does it mean you can potentially file a medical malpractice lawsuit against the doctor who recommended you to use marijuana based on such a recommendation? Or is there actually a difference between prescription drugs and marijuana in Hawaii? These are the questions we asked our Hawaii medical malpractice attorney from the Kurzban, Tetzeli & Pratt P.A. 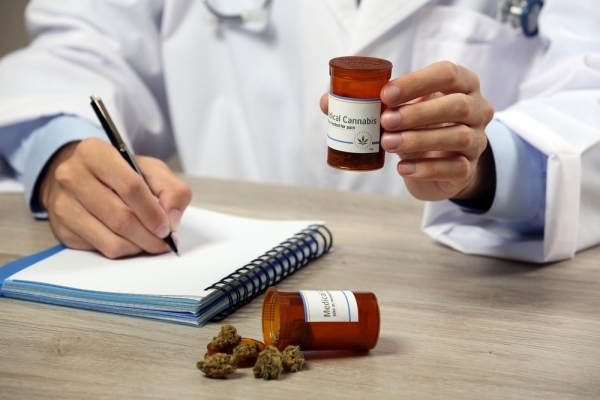 If you believe that you have been injured or developed an illness because of marijuana, which was recommended by your physician, it is vital to understand that a recommendation for medical cannabis is not the same as a prescription. One would think that it does not make sense to sue your doctor for writing a recommendation for marijuana. After all, weed had been illegal for so long that it seems very unlikely that patients would discourage their doctors from recommending weed in the foreseeable future. Can you sue a doctor for recommending weed? More often than not, whether or not you have legal grounds to bring a medical malpractice suit against a medical professional will depend on the experience and skills of your personal injury lawyer. It is possible to sue a doctor for medical malpractice based on a medical marijuana recommendation, but you need a strong legal case to do this. The problem is, however, that more often than not, doctor do not prescribe marijuana nor do they control the dosage administered by the patient. All they do is recommend cannabis, which in itself is a weak allegation to file a lawsuit. In a nutshell, writing a recommendation for cannabis is not the same as prescribing it. However, if you believe that you have been injured due to the doctor’s negligence, recklessness, wrongful act, intentional act or omission to act, you may still be able to hold him or her liable. And his/her recommendation of marijuana does not necessarily need to be the primary basis of your medical malpractice lawsuit. But in order for your case to succeed, you will have to consult with a Hawaii medical malpractice attorney who would examine your particular case and establish liability. Contact the Kurzban, Tetzeli & Pratt P.A. for a free case evaluation. Call our offices at 808-800-2445, or fill out this contact form today. How To Waive The Physician-Patient Privilege In A Wrongful Death Or Medical Malpractice Lawsuit?